Many towns and cities in the South East district are popular commuter towns for those working in London which can mean bad news for locals as they find themselves priced out of the area in which they grew up. There is a huge demand for affordable housing in the South East and a need to get people on lower incomes into homes.A lot of the towns in the South East are quite affluent and there is an obvious divide between the wealthy and lower income families. In the South East the government has a different set of problems compared to those it has to tackle in the North. There is a lesser need for regeneration in the South East and more of an emphasis on creating new houses for key workers and people that are on lower incomes. Included under the South East region banner are the counties of Berkshire and Buckinghamshire alongside East Sussex, Hampshire the Isle of Wight, Kent, Oxfordshire and Surrey and West Sussex, the Thames Gateway is also included in its plans. There is a growing pressure in the South East to build new properties and housing developments where people can afford to live.There is potential for new housing developments on numerous Brownfield sites in the area. As well as unlocking Brownfield sites there is also the possibility to regenerate existing towns to make them more attractive to live. The government is currently working on regenerating city centres in places such as Ashford, Slough, Crawley and Bracknell. The South East will always be on the government’s check list when it comes to providing affordable housing in the UK.There are a number of schemes that the government’s currently working on, such as its Heart of Slough scheme where it is working on delivering 1,500 new homes. It has also developed a range of new homes in Linton, Maidstone where it provided 150 affordable homes, alongside shared equity housing. One example of regeneration in the South East is the redevelopment of Greylingwell in Chicester, where a former hospital is being revamped to provide 800 homes. The Homes and Communities Agency is also working with the local authority and community to develop Rowner in Gosport, an ex military site.The site will provide extra housing which will help bring more affordable housing to the area. 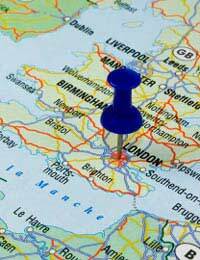 Trying to find an affordable property in the South East of England can be a challenging task. The areas popularity can mean that those on lower incomes find themselves priced out of the market. If you do find yourself wanting to buy a property in the South East and you are a local resident your chances will be greatly improved. Affordable housing is often built with local people in mind so the longer you have lived in an area the better your chances will be.Your first port of call should be your local council to check with them what developments are underway in your area, they will be able to advise you as to whether you are eligible and what you need to do in order to find an affordable property on your doorstep.